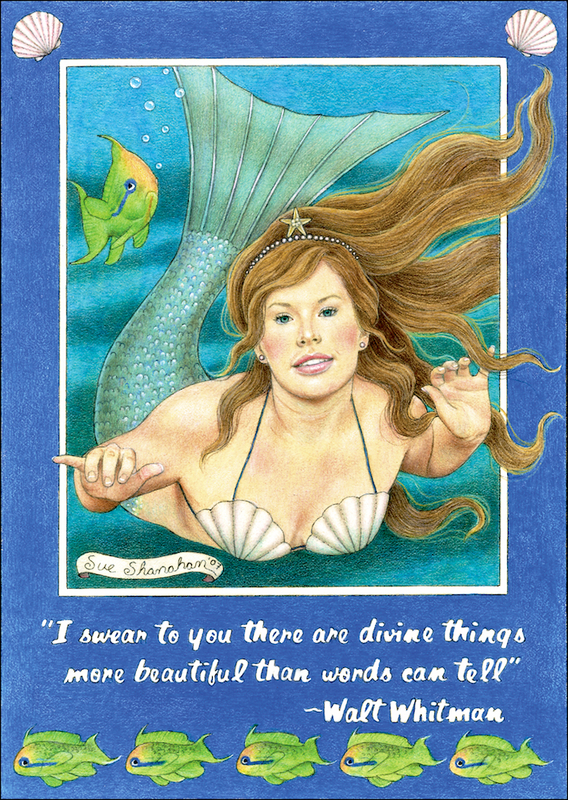 Since I was a little girl I’ve often fantasized I was a mermaid. I’m drawn to water and all the beauty it holds. There’s something magical about the sun glistening on the surface of water, and it sets my imagination to wandering! Intellignece and simplicity – easy to understand how you think. I like very much the combination of illustration and photographs. Beautiful. But blessed is the mother who raised this lovely one and allowed beauty to bloom guided yet unhindered. Thank you for that. To guide her but keep her unhindered was my goal.